The mince pie is a Christmas staple. Its ingredients can be traced back to the 13th century, when returning European crusaders brought with them Middle Eastern recipes containing meats, fruits and spices. The early mince pie was known by several names, including mutton pie, shrid pie and Christmas pie. Typically its ingredients were a mixture of minced meat, suet, a range of fruits, and spices such as cinnamon, cloves and nutmeg. 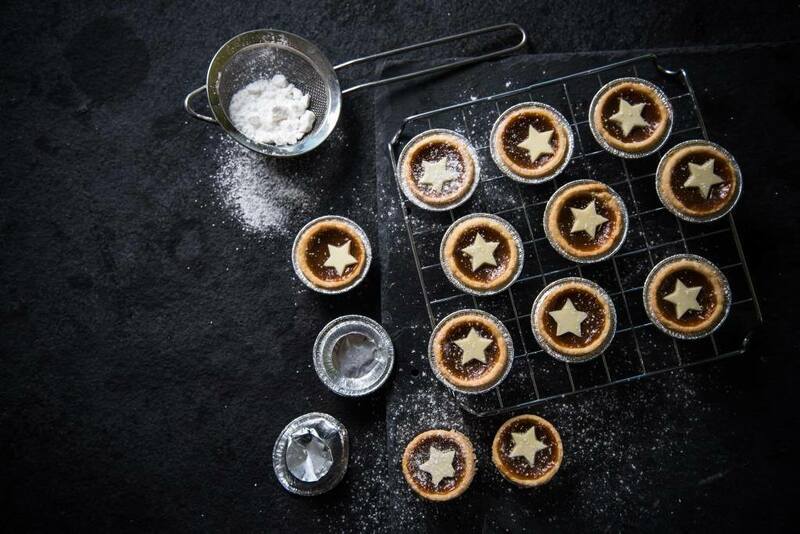 Although the modern recipe isn’t quite like the original, the mince pie has remained a popular treat. Of course, homemade mince pies are always best. Here’s how you can make your own.. Combine all the above ingredients and leave for a week in the fridge before making your mince pies. This will give you enough filling for 24 pies. If you don’t want to make this many on one go you can store the leftovers in a sterilised jar – when filled, cover with waxed discs and seal. The mincemeat will keep for ages in a cool, dark cupboard – perfect for a second batch of mince pies next weekend! – For the pastry, rub the flour, butter, sugar and egg together with a splash of cold water until it just comes together as a dough. Be careful not to over work the dough. Wrap the pastry in cling film and set aside to chill in the fridge for 20-30 minutes. – Roll out the pastry to a 3mm thickness. With a round pastry cutter, cut out 12 9cm discs of pastry. Press the pastry into the muffin cups of a 12 hole pastry tin and fill each one with a good helping of the mincemeat mixture (roughly 60g), so that it reaches three-quarters of the way up the side of the pastry-lined cup. – With a fluted pastry cutter, cut out 12 8cm in pastry circles for the lids (slightly bigger than the top of the muffin cups). Place a lid on top of each pie and gently push down. For something a little different, why not cat out some shapes to place on the top rather that a full lid. – Bake for 20 minutes, then transfer to a wire rack to cool. – Dust with icing sugar and serve warm with fresh cream.